Ombré is the French word for a gradual change in tone- either from light to dark or from dark to light. At the moment, Ombré lips are in vogue both on and off the ramp. The presence of two tones gives your mouth a good contour. The darker outline gives your lips definition while the lighter filling makes your lips look fuller and plumper. Neon colours are a hot favourite right now for Ombré lips but you can go ahead and choose the shades that you like. Step 1: Prep your lips. Use an exfoliating lip scrub or a simple home-made sugar scrub to get rid of any chapped skin. Apply some lip balm at least an hour before applying lipstick to have a smooth working surface. Step 2: Apply some foundation or concealer around the lip line and work downwards to blend it into the lips, near the rim. This will cover up your actual lip line and let you draw on it with your lip pencil. Next, there are two ways to go about it. You can either make the outline first, or then fill in the lipstick or vice versa. Try both ways and pick the one that suits you best. Step 3: Line your lips with a darker lip liner. You can create an artificial pout by drawing your lips to be bigger than what they are. Or stick to the natural shape. Let your imagination soar and line your lips. 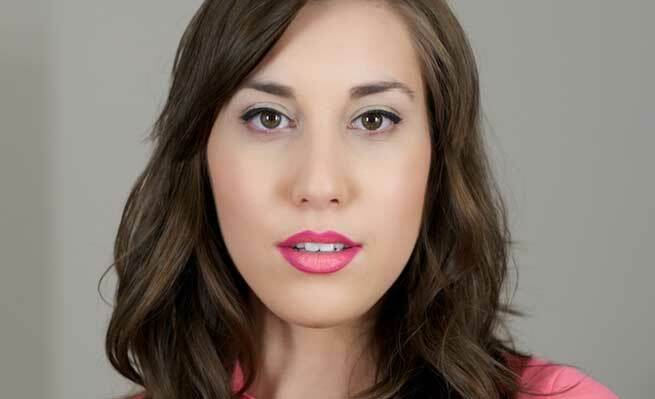 For starters, draw along your natural lip line in a smooth line. Step 4: Now fill the centre of the lip with the lighter lip colour. It is better to choose a matte colour since it will give you more intense and defined Ombré lips. Step 5: Now, using a lip brush, gently blend the darker lip liner into the lighter lip colour, just along the lip line. The centre of the lips should remain lighter in colour. Voila! There you have your Ombré lips. For more drama, you can add some shimmer in the centre of your lips, just a dot on the centre of each lip and blend it gently. You can also experiment with a darker shade inside and a lighter shade outside. That would be slightly simpler- simply apply your lipstick without a liner. Then choose a darker shade of lipstick and apply it on the centre of each lip and blend. Trying it with a pink on the outside and a coral on the inside will give you what are popular as Popsicle stained lips. 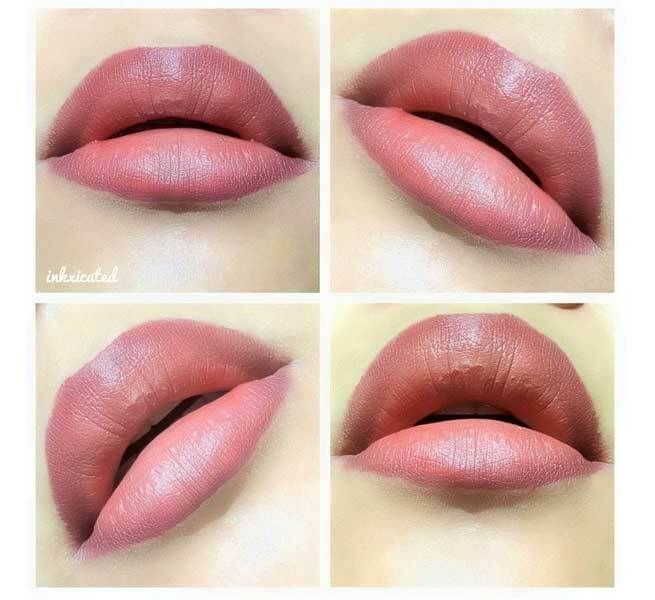 Another way to do Ombré lips would be to make the gradual tint from the upper to the lower lips- darker shade on the upper lips and a lighter shade without definition on the lower lip. You can finish the entire look with a slight hint of lip gloss.